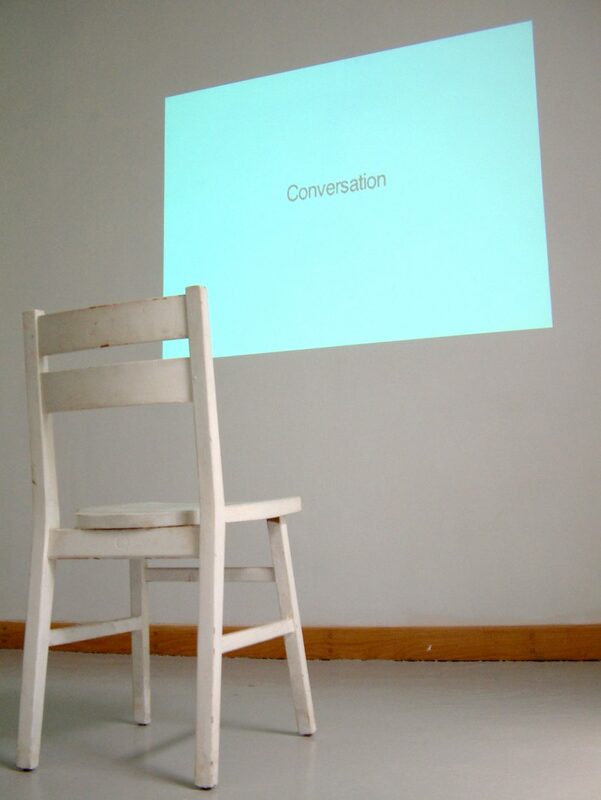 Conversation (2004) is a collective reflection upon the subject of language and identity formed by volunteers who live in Britain and use English as their second language. It is a series of interviews with people who used more than one language with which to communicate. Each person was asked whether they felt different when speaking in one language or another and whether they felt that language affected their identity. The answers and questions were overplayed in multi track form, voices interacting as if in casual conversation or heated discussion.